Vasant Panchami is also known as Basant Panchami or Shri Panchami and Saraswati Panchami which marks the end of winter and the beginning of spring (usually in Magh month). 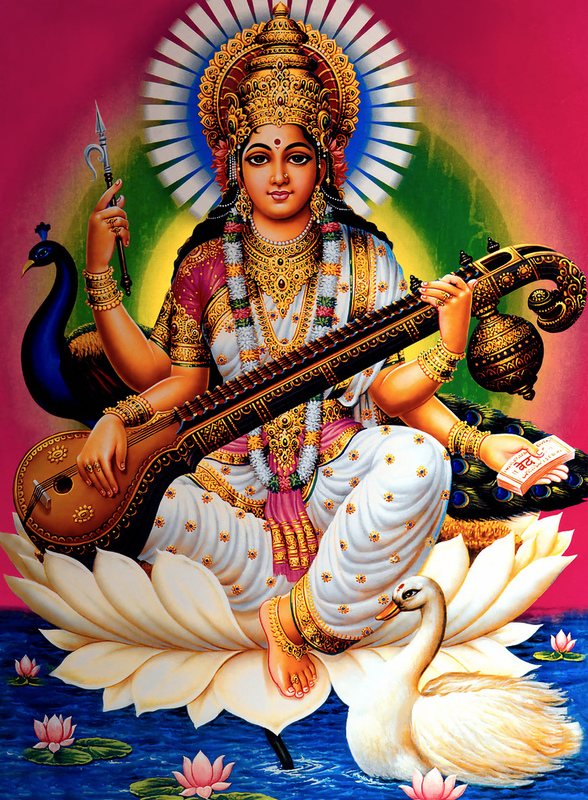 Vasant Panchami is dedicated to the goddess Saraswati Devi and worshipped on this day. One of the most famous rituals of Vasanth Panchami is initiating education to the children which is known as Akshara Abhyasam or Vidhya Abhyasam. 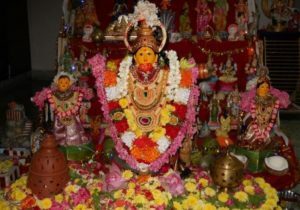 Schools and colleges arrange puja to seek blessings of the goddess . Pens, notebooks and pencils are placed in front of goddess Devi’s feet. Vansant Panchami is celebrated on Panchami Tithi day during Purvahna Kala which is between the sunrise and the midday. Purvahna Kala is also the time when people perform puja including schools and colleges. People dress up in yellow color as it signifies the brilliance of nature and the vibrancy of nature. Kesar halwa is prepared on this special occasion which is made of flour, sugar, nuts and cardamom powder.During this festival, India’s crop fields are filled with yellow mustard flowers which bloom at this time of the year. Goddess Saraswati Devi sitting on lotus symbolizes her wisdom. She rides on the white swan with the white dress which is a symbol of purity. Goddess sits on a peacock that reminds a strong ego can be held back by wisdom.